Committee chairman Vanlalruata said the EC team agreed to the body's demand to remove Shashank as CEO of Mizoram immediately. An Election Commission team, held discussions with government officials and members of an apex body for civil societies in Mizoram and agreed to remove state Chief Electoral Officer (CEO) S B Shashank, a civil society leader said. Chief Secretary Arvind Ray and the joint CEO were not allowed inside the hall where the meeting was held. The EC team held discussions with two additional CEOs, Home Secretary Lalrinliana Fanai, leaders of the NGO Coordination Committee - apex body of the civil societies. It was a closed door meeting and the team left the venue without making any comments. The team also agreed to stick to the commitment made by the poll panel in April 2014 that Bru voters who are staying in Tripura would exercise their franchise in Mizoram and not in the relief camps of that state, he said. Thousands of Bru community members had fled Mizoram in October 1997 after ethnic clashes and have been living in camps in Tripura since then. The EC team, however, refused to make any commitment on revoking the transfer order of former principal secretary Lalnunmawia Chuaungo and restore him in his position in Mizoram, he said. 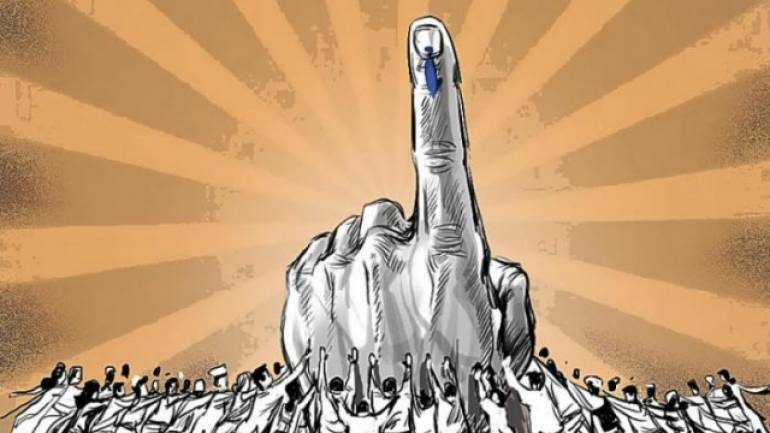 Shashank, who was being seen by the civil society as a Bru sympathiser, had allegedly complained to the EC that Chuaungo was interfering with the poll process in Mizoram where election to its 40-member Assembly is slated for November 28. The EC team also met members of the Mizoram Kohhran Hruaitute Committee (MKHC), which is a conglomerate of leaders of major churches in the state, and those of the IAS officers association which included several serving and retired bureaucrats. They would visit Champhai district, on the Mizoram-Myanmar border, and hold discussions with the Deputy Commissioner Naveen Agrawal, before returning to Delhi.